Being blond, whether you’re natural or you’ve got an amazing colorist, can be tough. We’re always in the salon chair touching up this or doing a mask because we damaged that, and oftentimes we just don’t know what to do about the dullness. But dealing with brassiness, exposed roots, and heat damage is about to get a whole lot easier. Scroll through to keep your blond locks happy and healthy! We’ve all known the days of swimming for hours in the summer sun and coming home with greenish ends of our blond locks. Just think about it: Chlorine is meant to clean the pool, so what’s it really doing to our hair?! A great way to combat this is jumping in the shower and applying a thin layer of conditioner before jumping in the deep end. This combo helps to saturate hair with good water and protect it with the conditioner so your strands don’t soak up as much chlorine as they would if they were dry. A Filtering Showerhead? Order This Right Now! Considering showering is one of the most important steps in the haircare game, this filter is here to do wonders. We all know (or should know) that the water coming out of the faucet isn’t exactly clean. 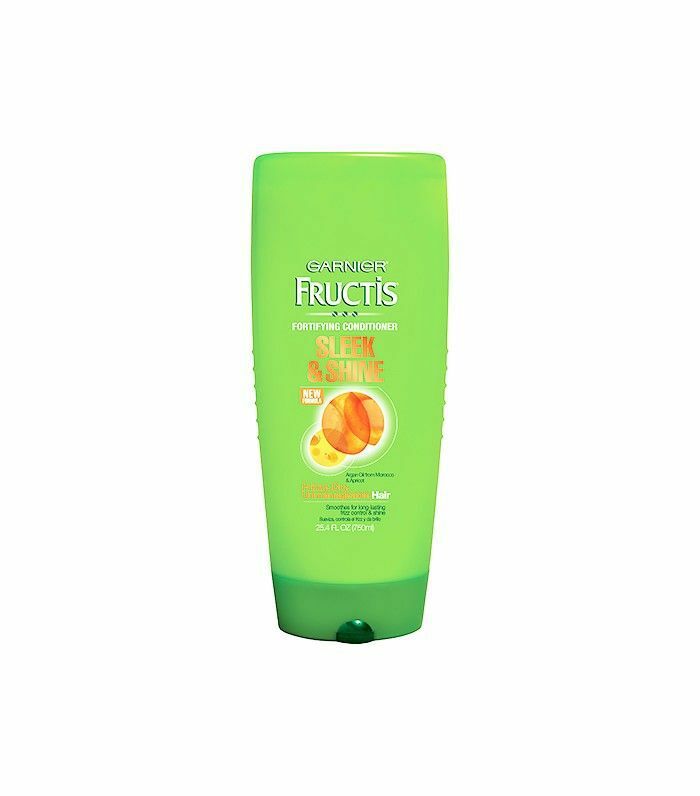 It’s full of minerals and chlorine that contribute to dry, damaged, and dull hair. Using a filter on your showerhead will help to clean out all these impurities, leaving you with clean, shiny hair. 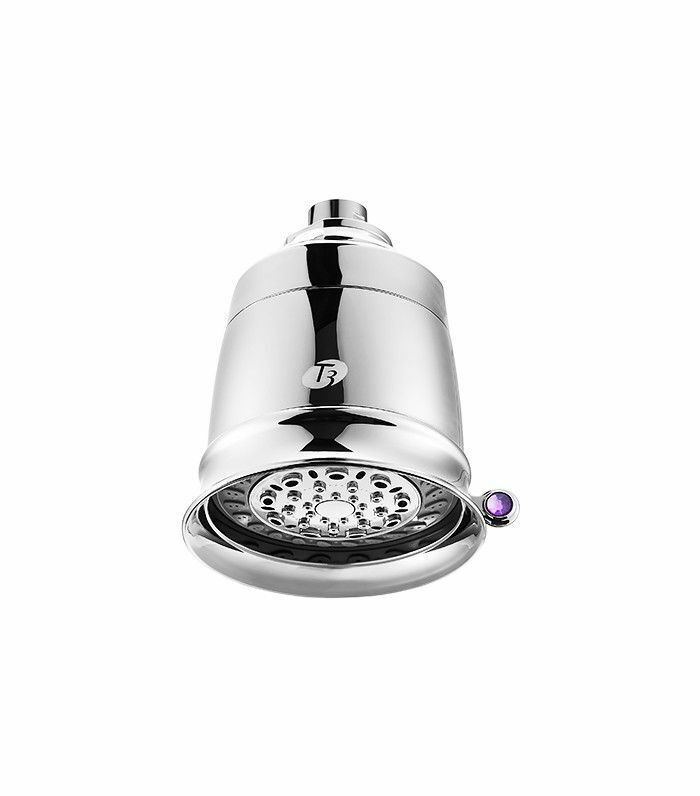 Though a little pricey, this showerhead goes a long way and is easy to install, working with most existing showerheads. To protect hair from harmful damage caused by heat (we’re looking at you, blow-dryers and styling tools), use a heat protectant. 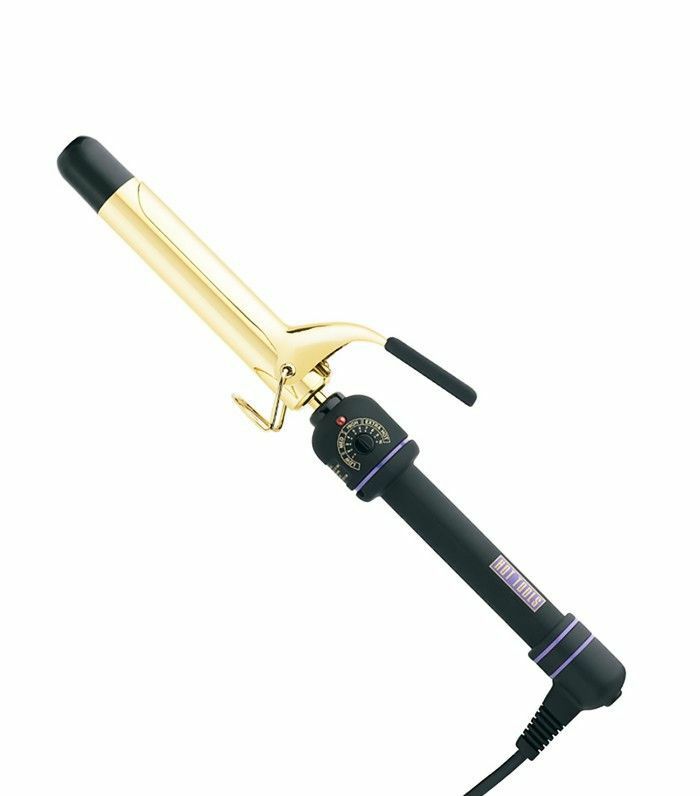 A spritz protects your strands from the dulling, drying heat from the blow-dryer, that old straightener you’ve been meaning to replace, and even those UV rays from the sun. Just spray four to six inches away from your hair, comb through, and style. When you’re blond, all you hear about is purple shampoo and purple conditioner and purple hair masks. What’s up with all the purple? 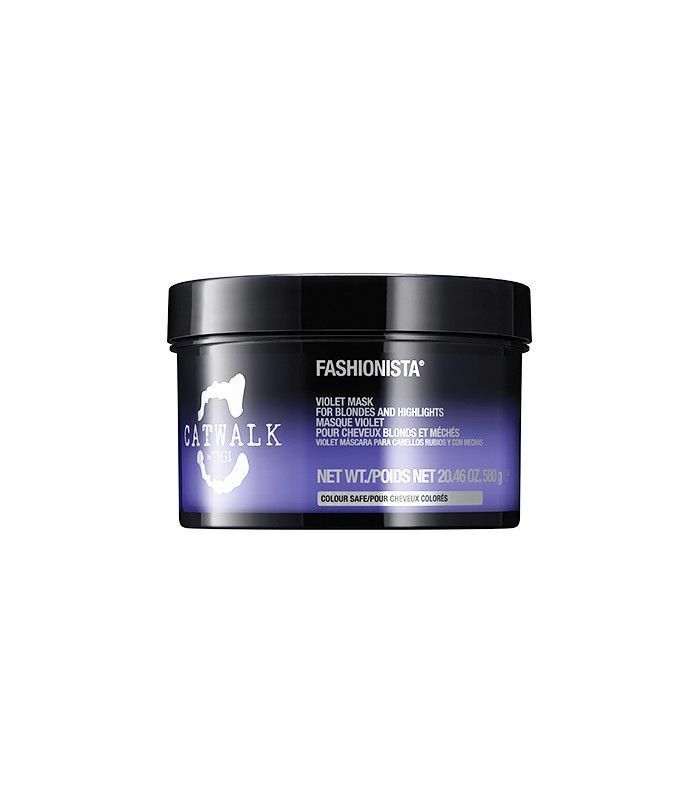 Purple products help keep blondes bright and vibrant instead of brassy and dull. We know you didn’t spend three hours at the salon for brassiness. Exercise caution before going purple crazy: Too much purple can dry out the hair and leave it dull. This mask is a perfect once-a-week routine (and it smells amazing). Massage into clean, wet hair; leave for three to five minutes; and then rinse out. We love champagne—sipping it at wonderful events, paired with OJ at brunch, and in the shower as a rinse. Champagne helps to bring out those golden hues in any blonde as well as creating shine and volume. Pop open a bottle of bubbly, and work it through your hair using a comb and/or your hands. Make sure to rinse thoroughly. There’s never been a better excuse to buy more champagne. Forgot to make that eight- to 12-week follow-up appointment to get those roots done? Fear not. Stretch your appointments a little further with this styling tip. Perfecting those beach waves helps to add dimension and texture to your locks, distracting the eye from focusing on those roots (whatever color they may be). Best done on second-day hair, curl two- to three-inch strands in opposite directions, add some texturizing spray, and comb your fingers through. Your roots have never been less noticeable. If you’re blond, you know the struggle of keeping those roots maintained. This dry shampoo is here to save your life, or at least your roots. This dry shampoo has all the qualities of a regular one but with one added surprise: a touch of color in the spray itself. 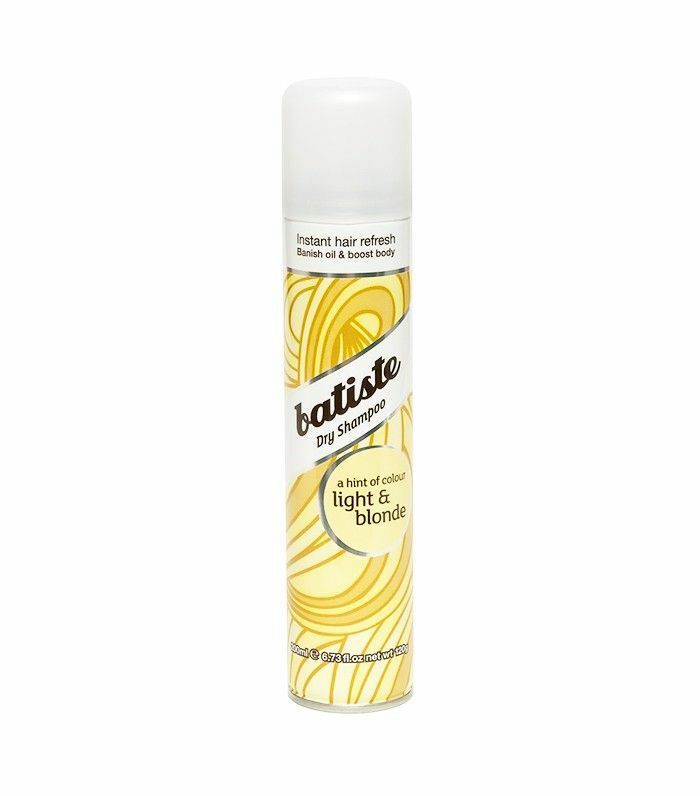 Usually dry shampoo is white, which fades to an unnoticeable clear. But this has got a little tint of blond color in it so those roots won’t have a problem going another week or two. What other blond-hair tips and tricks do you swear by?